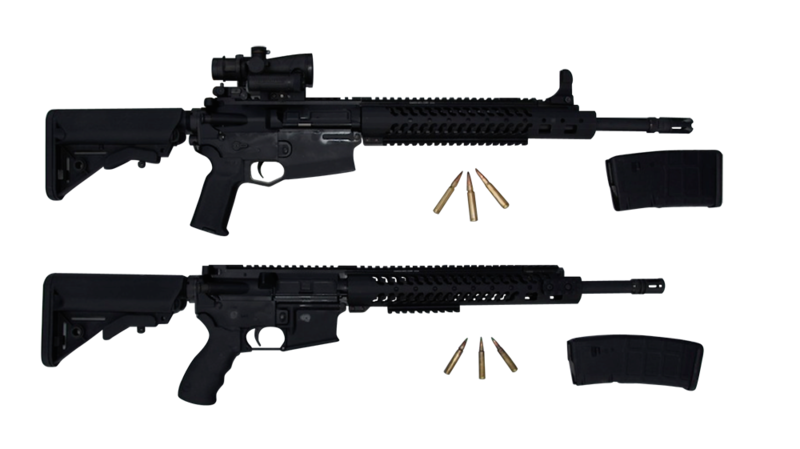 5.56×45 mm NATO and 7.62×51 mm NATO Caliber. Forged lower and upper receivers with standard frontal MSR assist and improved brass ejector. The height, length and weight of the UCR receivers have been highly reduced to closely match the ones of the UPR. 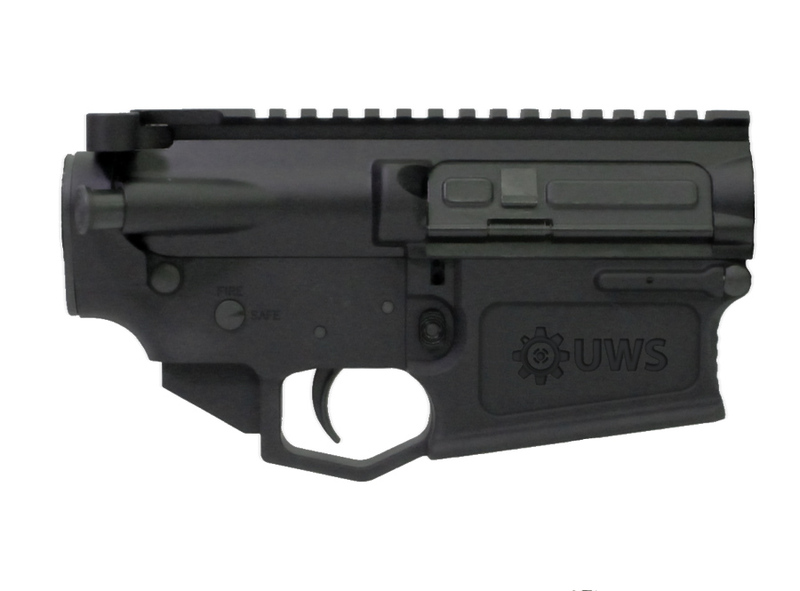 The height of the assembled receiver (Upper and Lower) for both rifles is the same, thus allowing them to use the same standard M4 firing controls. The firing controls can be completely disassembled and they include an improved trigger and hammer pin. The lower receiver was designed with a beveled magazine receptor for easy loading. The upper receiver was designed with an enlarged ejection port and the cross sectional area of the bolt carrier are the same for both the UPR and UCR rifle. Having compact receivers of almost the same size for our UPR and UCR rifles have also a direct effect on the overall size of both rifles. The most impressive achievement is the length for the rifles in their standard configuration making them practically the same as you can see in the picture below.